One day I visited Madura Island; it was at Sumenep Regency. On Saturday evening, I bought a food called martabak telor (a kind of omelet with minced beef and leek filling). 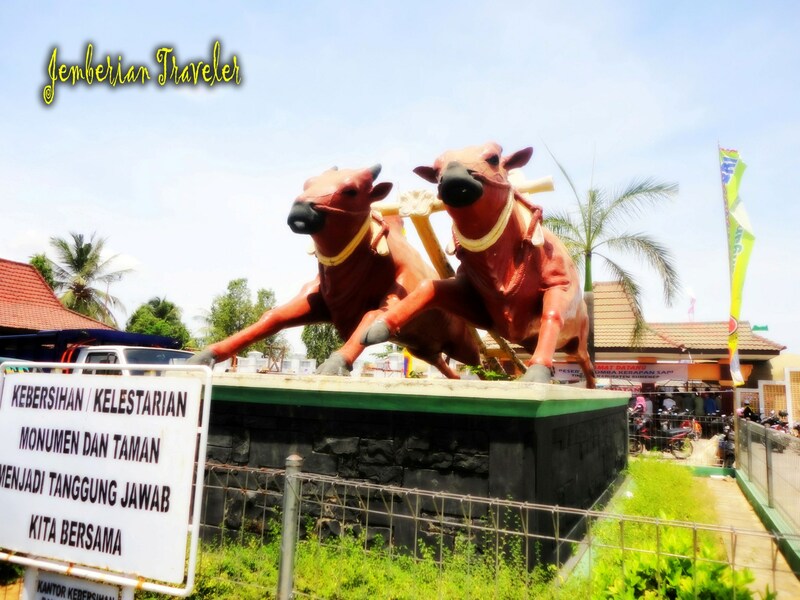 At first, I didn’t know that next to the store, there is a stadium for karapan sapi. 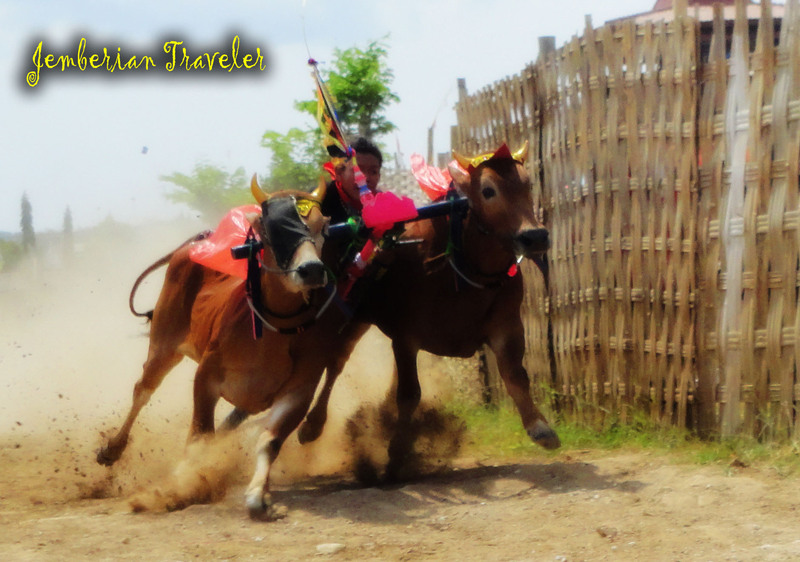 Karapan sapi is a traditional buffalo race you can find in Madura. Lucky me I saw a banner announcing that the next day, on Sunday morning, there would be an elimination stage. 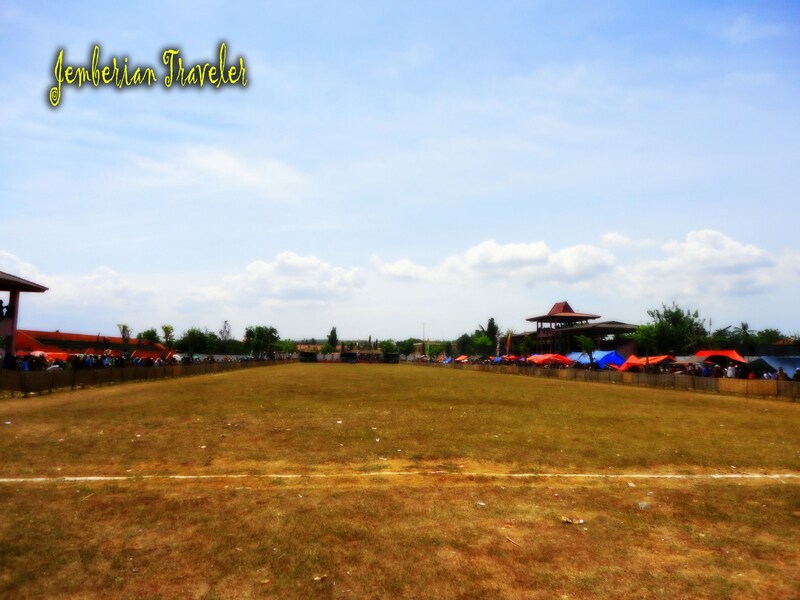 There are 4 regencies in Madura: Bangkalan, Sampang, Pamekasan, and Sumenep. 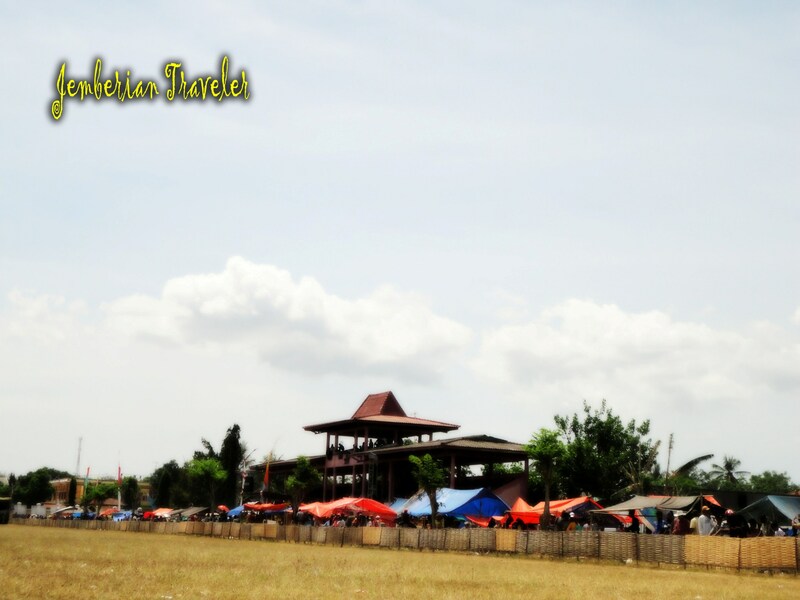 The elimination stages are held by the local regencies, but the final round is held in Pamekasan. The winner gets Presidential trophy. On Sunday, about midday, I went to the stadium. I bought the IDR 5,000 ticket. Like what I had expected before, it was already crowded by the participants and the audiences. Also, the weather was nice, so I took some mineral water as preparation if I would need it. 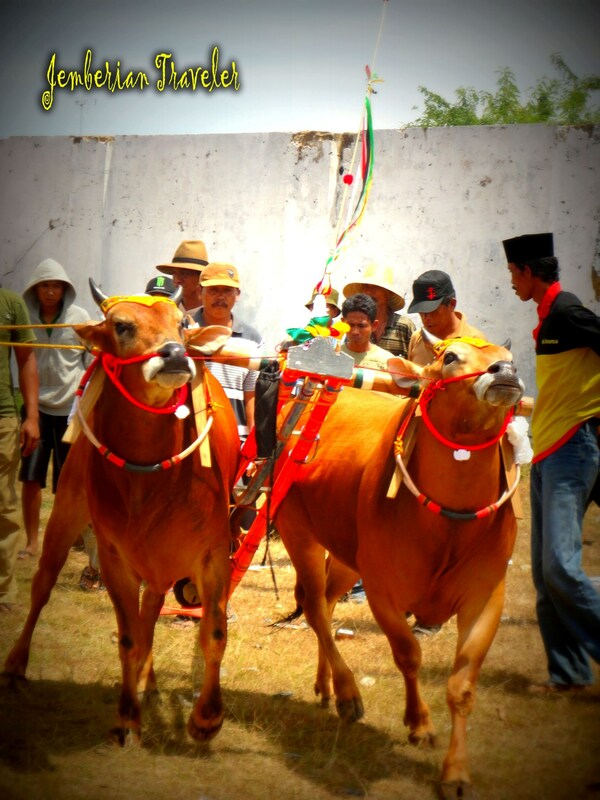 Karapan sapi is an original sport originated in Madura Island. It is a race of a pair of cow and another pair. Those cows drag a wheel-less cart. The cart is a place of the jokey. Most of the jokey are small to lighten up the cows’ load to run faster. 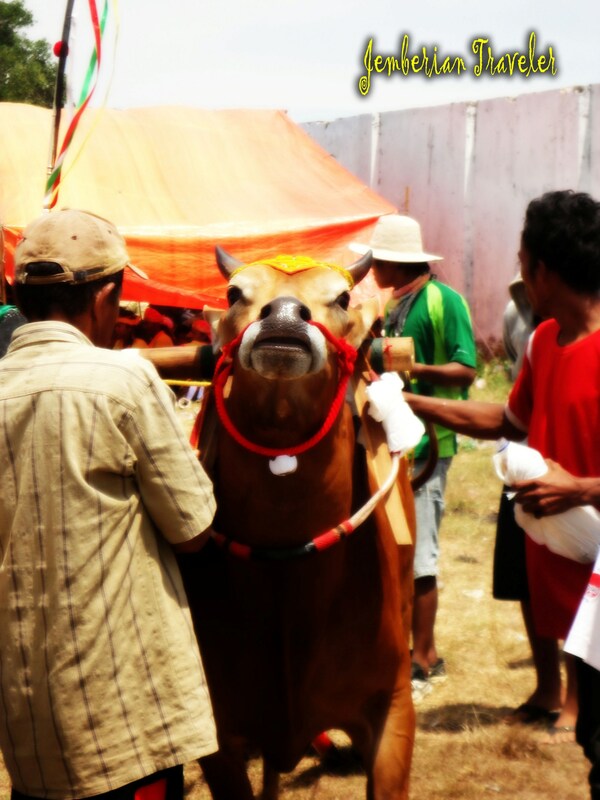 I came in time, so I could see the ritual people did before sending their cows to the track. Some elders prayed for while caressed the cows. The assistants smeared some herbal mix onto the cows to make them fit and able to run fast. Those which had been finished the ritual, then, were taken to walk around the tents to warming up. 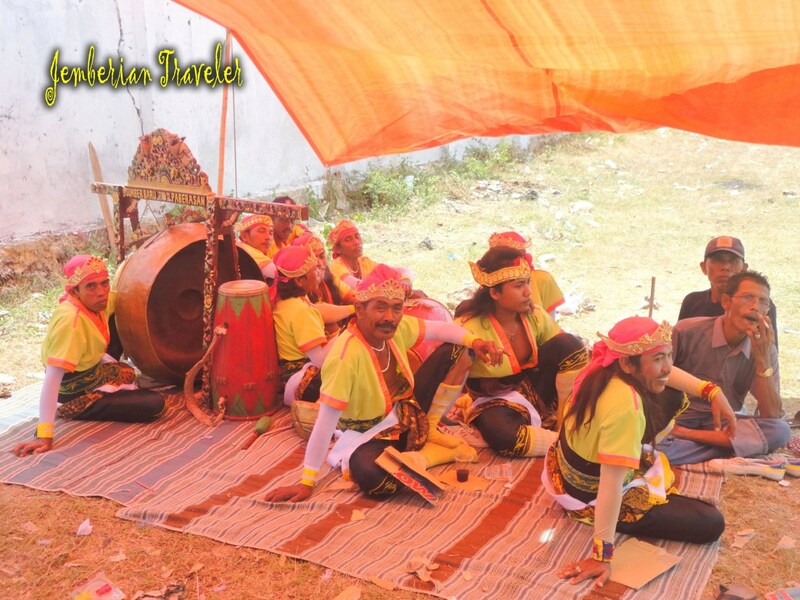 In a tent, I found something unique; it’s that the tent was filled by Madurese artists playing a traditional instrument, the Madurese gamelan, which is called Saronen. Its components are almost the same as the Javanese gamelan; a small gendang (drum), a gambang, a gong, and a small trumpet. The ones that make it different from the Javanese version are the carving style and the tembang (song). The saronen players put on makeup and wear traditional costume. Finally, the race started. An air horn sound indicates the race began. The first session was for the medium sized cows races. Then, the large cows’ races followed. For me, this tradition is really extreme because the jockey holds on the cows’ tail to control movement, and brings a nail-tipped stick that he hits on the cows body to make them run faster. But after race, they will get treatment. This sport is also dangerous for the lack-of-experienced jockeys. I saw a team in which both the cows and the jockey fell during the race. He fainted on the track. Fortunately, there had already been a medical team. 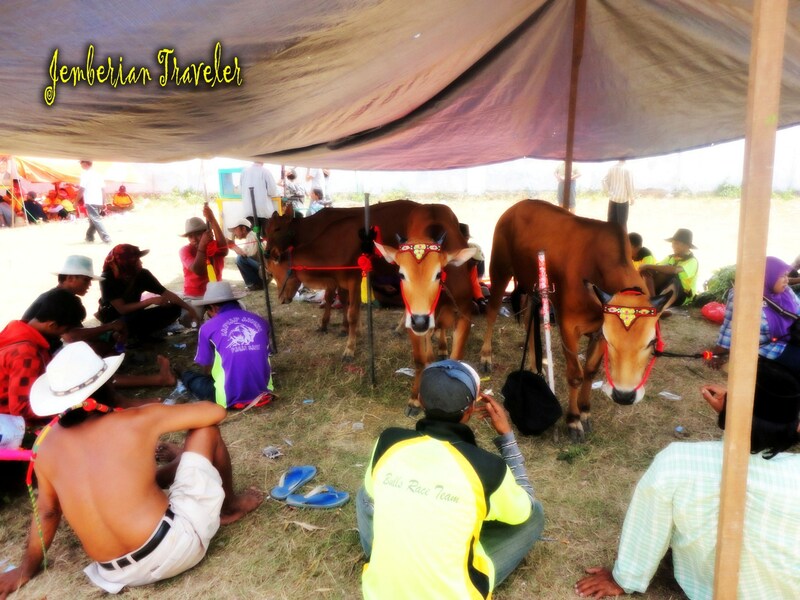 The sun’s heat during the race didn’t distract the excitement of the karapan sapi. The great people’s enthusiasm and the loud supports made it even more exciting. Hearts beat faster when the participants raced. Audiences also had heart races due to curiosity of the winner. The winner from the regency was hailed by the people of the regency and he becomes a hero to race on the final round.